Bee Keepers Cottage is a single storey converted stable which has been renovated sympathetically to provide holiday accommodation in a rural setting. 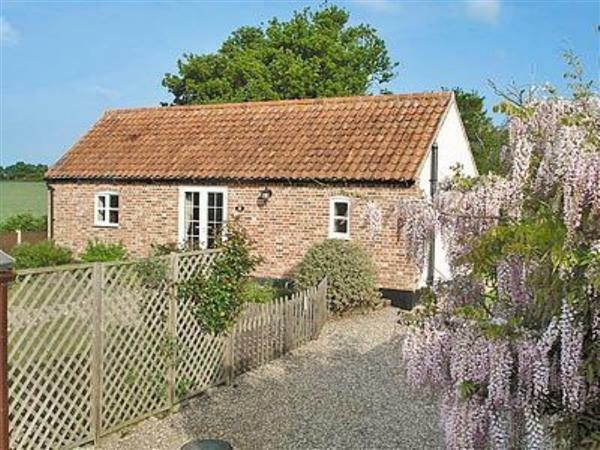 The cottage is located in Garvestone in the Breckland region of Norfolk, known as the “Secret Heart of Norfolk”, boasting over 100 attractive villages scattered across 500 square miles. Walking, cycling and horse riding are popular activities in the heaths and woods of this area. The cottage is ideally situated for exploring the North Norfolk Coast or spending a day visiting The Royal Sandringham Estate. The mid-Norfolk railway and towns of Dereham and Fakenham are well worth visiting especially on market days. Or alternatively spend a day in the fine city of Norwich. Shop and pub 1.5 miles, restaurant 1 mile. Oil central heating, electric, bed linen and towels included. Travel cot. Cot. High-chair. Freeview TV. DVD and small library. CD. Electric cooker. Microwave. Washing machine. Tumble dryer. Enclosed lawned garden with patio and furniture. Portable Barbeque. Parking (2 cars). No smoking please. Holidays at Bee Keepers Cottage run from Saturday to Saturday. For a better idea of where Bee keepers Cottage is, you can see Bee keepers Cottage on the map below. Bee keepers Cottage is in Norfolk; should you be on the lookout for a special offer, you can find all the special offers in Norfolk. It's always worth checking to see what is on offer at the moment. Do you want to holiday near Bee keepers Cottage (W41193), you can see other cottages within 25 miles of Bee keepers Cottage; have a look to find your perfect holiday location.